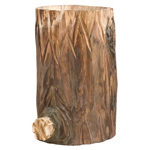 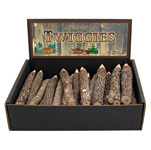 Old Log Cabin Twiggies are a top seller. 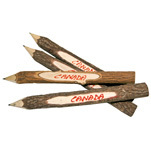 This cardboard display of natural bark covered wood pencils have been carved on one side and imprinted with the word Canada. 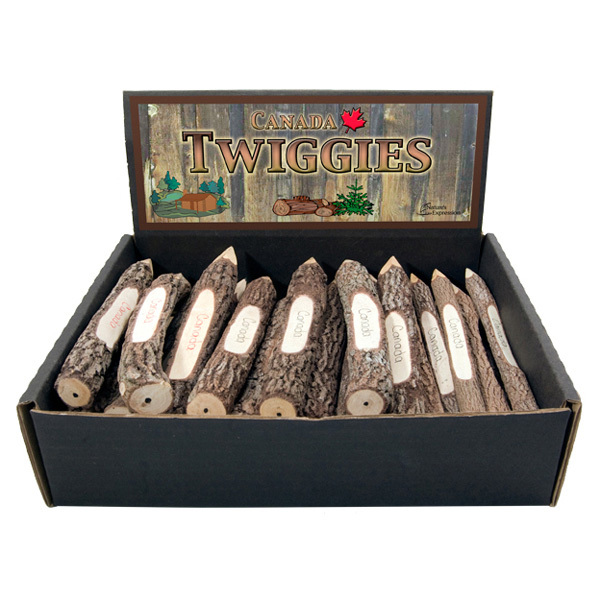 Twiggies make excellent souvenirs. 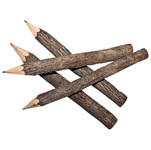 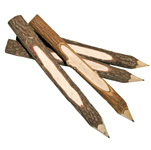 Twig pencils are made in Thailand from the leftover branches of tamarind trees which are harvested for their fruit.